Luke the Physician or “the beloved physician”, is known as the author of both the Gospel according to Luke and Acts of the Apostles. He was a native of Antioch in Syria and was born a Greek and Gentile. Luke is said to have been exceptionally educated in Greek Philosophy, medicine, and art. 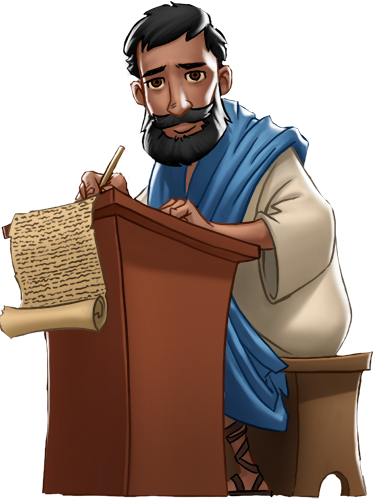 Known as the Holy Apostle and Evangelist, Luke was a companion of the Apostle Paul of Tarsus during his missionary journey after Pentecost. Luke the Physician is the only writer among four Gospels who did not know Jesus personally and is the only Gentile. His writings were based on his talks with many of the Apostles as well as other witnesses to significant events in the Lord’s life. His books were recognized as accurate because of the detailed nature of physicians. The Gospel of Luke presents the works and teachings of Jesus, which are important in understanding the way to eternal salvation in Jesus Christ. The Gospel covers the birth of Jesus to his ascension into heaven. It is also considered that the writings about the birth of Jesus is one of the most amazing stories Luke wrote. It is believed that he recorded this story directly from Jesus’ mother, Mary. Luke’s writings shows literary excellence and a deep understanding of Jesus and those around Him. The book of Acts provides details about how and what Jesus taught to the multitudes of those who heard his powerful messages and parables. Luke the Physician also describes Pauls’ travels between Jerusalem and Rome. He narrates the first 30 years of the Christian Church, and thus, understood the principles that governed the Church. It is believed that at the age of 84, Luke was tortured and hanged for his faith in Jesus Christ, on an olive tree in the town of Thebes. The miraculous relics of St. Luke were divided, and the rib of St. Luke that was closest to his heart is believed to be kept at his tomb in Thebes, Greece.